The RPI Fire Escape Webbing played a key role in the development of the Fire Escape Webbing Standard of the NFPA 1983, 12 ed. The RPI Fire Escape Webbing was the second escape webbing used in firefighter escape systems because it allowed the narrow packaging of material compared to rope. 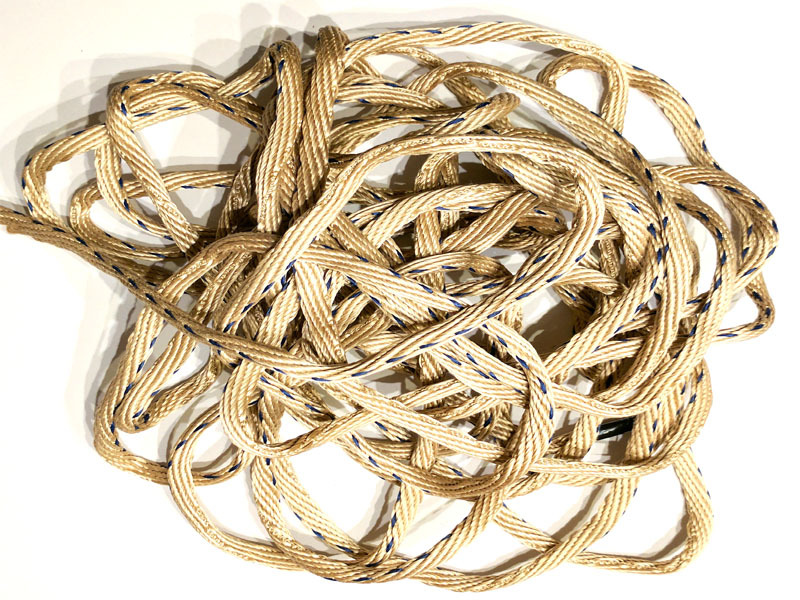 The unique reason why we originally chose webbing over rope is that when you turn a rope onto itself it is always double its thickness. Webbing is wider that it is thick so when it comes down to it, packaged webbing is considerably smaller in profile while offering similar performance to rope.